Want inspiration for your free-motion quilting? Now you have the perfect tool! This spiral-bound book is full of designs. JUST designs, and will lay flat on your work surface to keep your hands on the quilt and that needle moving! 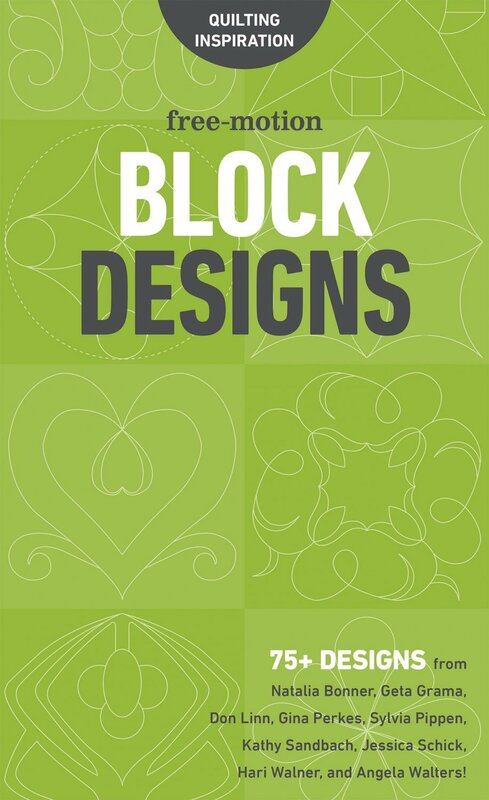 The first in a new series, this visual guide is filled with over 75 diverse block designs from your favorite designers to get you stitching. + Perfect for domestic and longarm machines. + Full-page spreads with innovative block designs. + Lays flat for easy reference while quilting.